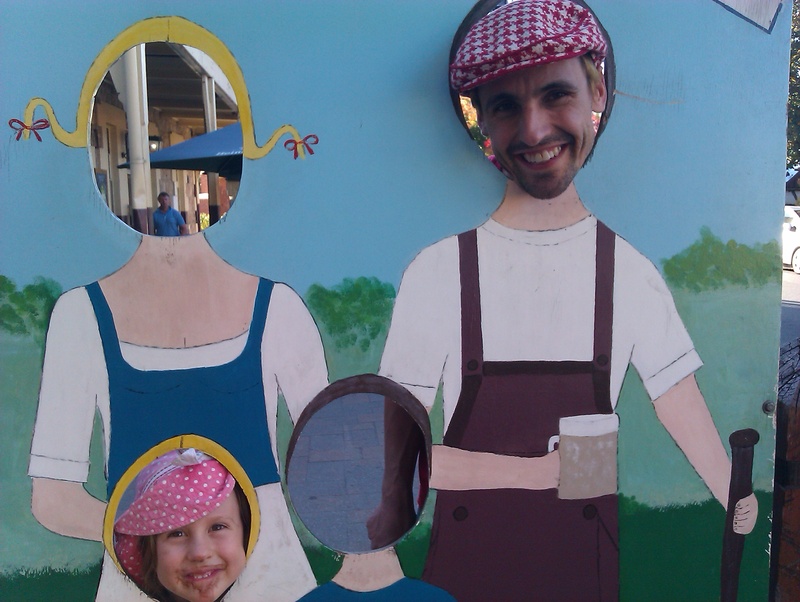 Welcome to Part 2 of our trip down memory lane – to our experiment in living small during 2013/14! As well as life in general, because its all intertwined of course…. Or, at least put it this way – it’s not my natural default setting. I remember becoming aware of the concept in the early days of my relationship with Michael (my now, husband). I said to him “I’m pretty easy going aren’t I?”. Well, the poor boy looked like a deer in the headlights! Stuck and unable to move, he didn’t know what to say to me – but his response told me all I needed to know. It was truly the first time I realised that I could be a pretty inflexible, tighly wound person. I wanted comfort and certainty – as well as the detailed report on how we were going to achieve it! I’m happy to say I have come a long way (at least I think I have – maybe I need to ask Michael again….) – but I point this out because I think it’s relevant to the whole ‘living simply’ business (whatever that means for you). I imagine one reason people hold off might be that they are too uncomfortable, or worried they aren’t open enough to take it on. I want to say don’t let that stop you – really! The reason I have improved is not that I worked on it, then decided to take on this adventure – it was the other way around. I took a leap of faith (for lack of a better phrase) and that made me squirm uncomfortably. I had a choice to either quit or deal with it. I deal with it because I know deep down this is the right thing to be doing, for us – even if it is scary and uncomfortable at times. The reward is immense – not only do you get to work towards your chosen goal, you get to grow in the process. That’s big. And the learning is constant – we are no where near perfect. I still get worried and anxious – then shop and eat too much as comfort (I know, I know – but awareness is the first step right?!). I’m constantly learning more about life, and me, and how to deal more healthily with my feelings. Ah, the school of life – I highly recommend it! (Incidentally, there now is an actual “school of life” – started in London by modern day philosopher Alain de Botton. There is an outreach campus in Melbourne – they run what look to be awesome classes and other cool stuff. Check them out here). Whatever you call it, you’ll likely need to shed some of your possessions. I think at the outset, this seems hard – and some of it definitely will be. However, it’s much more about shifting your thinking towards what you actually use and need, rather than learning to go without. In this way it becomes more therapeutic than painful, especially when realising the emotional attachment that we make with “things” may be better invested elsewhere. You also get better at knowing what you really use and so it becomes easier to let go of the excess.With every downsize or declutter we do, I feel lighter and more at peace. I don’t feel so overwhelmed by our stuff, nor have to spend so much frustrating time looking for items. And a surprisingly large amount of time is freed up from buying, organising, maintaing and cleaning what we have. just a little indicator of the state of our stuff from the old house – it’s a bookshelf full of non-books, hmmm…. 1. It may become addictive, the post-clear high can be a powerful one! Decluttering may just become your next vice (i’m not joking) – better than gambling though, don’t you think?!. And 2. It’s not a one-time deal – I think it’s more like a habit that needs to be developed because stuff has a tendency to accumulate. Think birthdays, christmas, hand-me-downs, that recreational rummage through the op-shop or garage sale. Not to mention the ability of random junk to just mysteriously manifest without any input from us whatsoever – what is with that?. You will likely have to revisit your belongings and what is important to you periodically , followed by some more minor, (I imagine) clearing. What about the how? Well, there are many approaches to decluttering (in fact there are hoards of blogs and books on the subject – enjoy your google discovering and keep in mind many also cross paths with related fields such as voluntary simplicity, minimalism, economics, energy, design and so on). 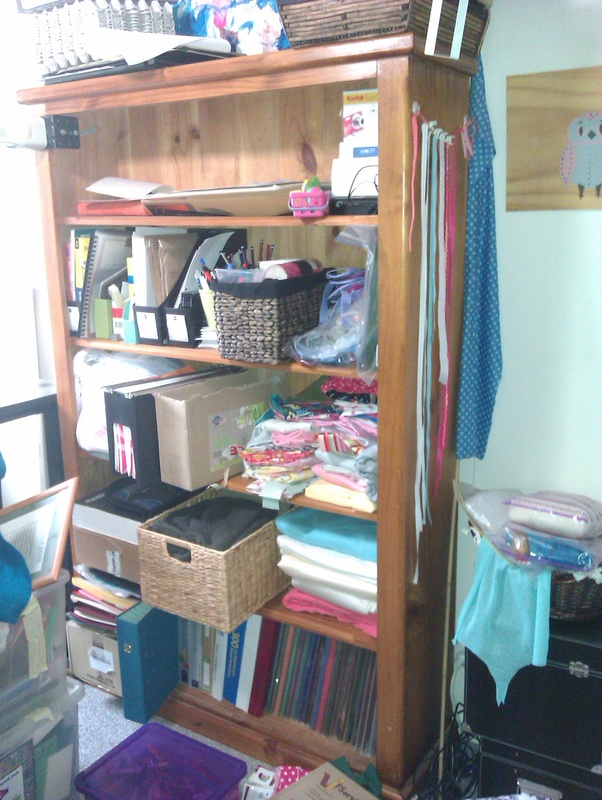 You can tackle the whole shebang or just one room/shelf/box at a time. As someone who gets regularly overwhelmed, with an annoying side-serving of perfectionism (not meaning I am perfect but rather harbour the totally impractical attitude that I must do it, do it thoroughly and complete it…TODAY! ), I definitely go for something small and doable in one sitting. Or schedule a whole day/weekend (without small people) to deal with something big and factor in as many pick-me-ups as necessary (think cuppa run, some good food pre-prepared or bought in) because doing this can be hard work – physically, mentally and emotionally. When I took on an area, I sorted things into piles: Keep, Sell, Donate, Bin and Maybe. The ‘maybe’ pile was critical. It took the pressure off getting the decision right – I could put the ‘maybe’ stuff away in a cupboard for a while. If I went looking for something I kept it. If not, it went. Sell it – think garage sale, ebay or maybe a notice at work or the local laundromat and spreading the word to friends who may be in the market for what you have. Recycle it – e.g. stacks of old paperwork – if you shred them up they are great in the garden. You could also just put them in your council recycle bin. Gift it – perhaps someone you know could use what you have. Ask around or make someone a pre-loved present. Bin it – I don’t really like sending things to landfill but sometimes the items aren’t good enough for donating or using again. And sometimes, I just need the sanity that comes from getting rid of that item now – I try and keep these to a minimum. In our own case we downsized from a standard three bedroom house to a 50m2 shed. So we started with trying to sell some items on ebay, quickly followed by an ‘open house’ garage sale. We essentially moved the things we wanted to keep then opened our doors for people to come in and browse our entire house – if they could see it, they could buy it. It was pretty funny trying to encourage people to come in the front door – we had to say “it’s ok – really!” then explain why we were doing it. A wonderfully unexpected upside was the conversations it started with people – nearly every one we talked to had a ‘living in a shed or caravan’ story. It was heartening to hear them talk about it – all but one expressed them as dearly held memories. After a couple of big weekends doing that, we loaded up the rest into our little blue hatchback destined for the op-shop – about 3 times over. And believe me, the car was full! So much so that when I got to unloading, it reminded me of those skits with a little car and the never ending stream of clowns coming out of it. All in all we have pretty good memories of downsizing and shedding possessions. I would describe the whole experience (so far – it’s ongoing remember?!) as cathartic and am still amazed at how I don’t regret it. Are there things I wish I didn’t get rid of? Well I think there were a few I mourned – but to be honest, as I sit here and write this, I can’t think of what they were. Ah – one just came to me – it was my childhood diary. I feel a pang of pain at not having the opportunity to look back on it. It’s not even that I want to look at it – it’s the opportunity I feel loss for, isn’t that funny?. In the end though, giving myself permission to let go of all that I went through then (in that diary) and be who I am today (because that’s what I am doing by no longer keeping it) is worth that ‘opportunity cost’ – it is such a release. And also let me say that we are not ungrateful for all the gifts that we received over the years. Do not be sad that we decided to let some go – we have appreciated and derived great joy from them. We keep the memories and sentiment while moving them on, hopefully to a new home where they may give someone else joy for a time also. As some explanation of the title, for those of you unfamiliar with us so far, our family name is ‘Woodhouse’ and we currently live in a tin shed – yep, don’t you just love the irony! Despite the seemingly natural gravitation of such named people to log-cabin style accomodation, we are loving life in a tin shed. But why do you live in a shed, I hear you ask. It’s a good question – and one we get asked often (usually in the form of a puzzled look when it’s mentioned). Well, it was kind of a serendipitous answer to the question of our life at the time. The question being – “Something isn’t right here – what do we actually want to do in this life and how do we move towards it?”. We reached that point after many small steps along an unplanned path, which started out with what you might describe as a fairly average kind of existence in our modern western society – wife+husband+child+house+stuff+mortgage+jobs. Despite being inundated with messages that this is the formula for success, a seemingly increasing number of people are finding this equation = unhappy. Us included. Get a good job and work hard so you can earn ever increasing money to pay for the incredibly unaffordable house you should strive to buy and the stuff you must wear/eat/give/watch/use, (aka consume). And don’t forget to pay off that University debt. It’s pretty easy to get jaded when trapped in that hamster wheel society labels ‘life’. But the wonderful thing about realising what we were stuck in, was the freedom that ensued. It’s like waking up. Suddenly you realise you don’t have to live the way most people do, you can listen to those small nagging voices of concern, (that turn out to be your real values), and take your true desires seriously – after all, they usually boil down to being a good person and making a positive difference in the world, right?. (if they don’t, maaaaybe you should exit here). At this point I would like to add a disclaimer – despite the above comments, I am not opposed to working hard – just working hard for the wrong reasons, or towards a misaligned goal. Nor am I advocating we all quit work and live some kind of free floating unfocussed existence forever. There is middle ground somewhere- i’m sure of it. I imagine it to look something like a healthy community where people work together to take care and responsibility for themselves, others and their home – and with support from leaders, as opposed to self-interested power and red tape. Of course, sorting out the detail of what that looks like exactly, (who does what, how do we make it work etc) is a complicated matter- and a lesson I think we are all in the process of learning. Thus, I shall leave the disclaimer at that – back to the story at hand. So, after working on that question of what we wanted to do in life, a lot of the answers came back to living more simply. You know that kind of peace some people get after going camping for a week? Life is pretty simple – focus on feeding ourselves, staying warm (or cool), spend time talking to our loved ones, having fun, maybe enlightening the brain with some reading and slowing down to the pace of nature. Running away to camp is not a viable option for long term living but the point i’m trying to make is this – when we focus the majority of our energy (physical, mental and emotional) on the simple and important stuff, as in camping, there is a nourishing fulfilment that comes with it. It was that fulfilment we hoped to gain by simplifying. Living a ‘simpler life’ means different things to different people. We decided our long term goal was to live more responsibly within our environment – find some land, grow food and a community, share the experience and knowledge with anyone interested. Entangled amongst it all was a long-standing desire to see other places, cultures and maybe even make some positive difference there (no doubt taking more than that contribution back to our home in our hearts) – while in addition, giving our daughter the kind of awareness that only comes from seeing these things first-hand. Starting to sound kind of complicated now huh! “We cant afford to buy land, or go overseas. We both have jobs. We couldn’t get time off. We might have to quit – what would we do when we got back? We have a mortgage to pay. And a child in school”. Plenty of excuses not to sort out a solution, don’t you think? Yup, it’s too-hard-basket material for sure. Or at least it was, before we changed our thinking. Once we had thought seriously about things and discovered, in our opinion, what would be a worthwhile purpose and source of joy in this life, it was pretty hard to ignore. It was all a bit ‘blue pill, red pill’ (Matrix reference for any fans – apologies to the confused others who haven’t seen the movie) – I’m referring to the fact that once you know, you can’t go back. So that’s all it took – a change in the mind that said “hmm, maybe….”. We went from believing excuses to looking for solutions. I kept saying to myself ‘there must be a way, there must be a way”. Some ideas hatched. What if we…… sell our house, use some of that money to go overseas, come back and put the remainder of our money towards some land. Hmm. No way we’ll be buying a house and land – better buy a caravan to plonk on it instead. Can all three of us live in a caravan? Umm…. maybe? 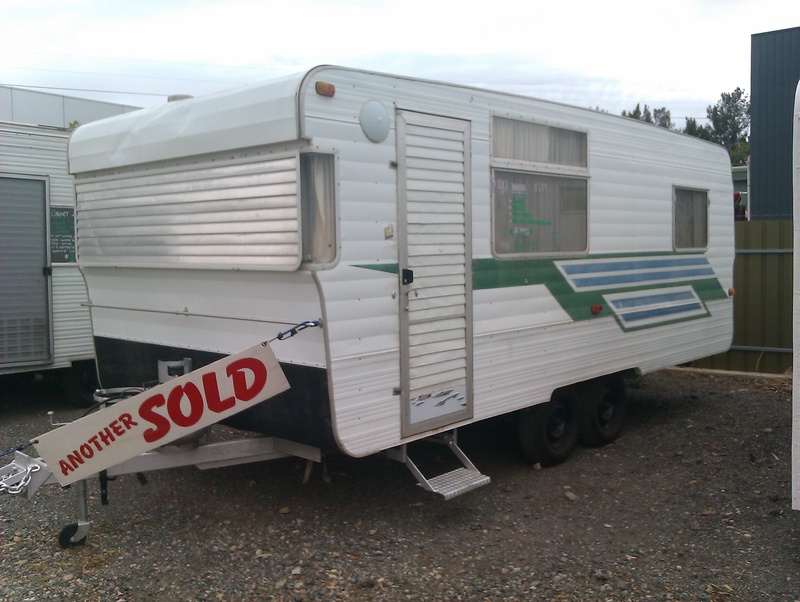 soooo…… we bought a caravan – figure we’ll just have to make it work now! Lo and behold, while mulling it over, we were gifted the discovery of two thought-changing documentaries. The first was ‘We the tiny house people‘ by Kirsten Dirksen. This is a full length insight into the ever-growing ‘tiny house’ movement. For the uninitiated, there is a myriad of people now voluntarily choosing to live in small spaces. Lots of these, particularly in the states (of the united and American kind) are now building their own tiny house. They come in as many variants as there are colours, but the common theme is a little wooden house on a caravan trailer. It’s a fascinating proposition. And what I love even more about this film is that it doesn’t just cover the beautiful little houses, it shows all sorts of weird and wonderful places from teeny tiny NYC apartments to caves! In doing so, it paints a really good picture of why people are turning to this. For some it is financial, for others it is more about simplicity, self-sufficiency or independence. I was so grateful to see these people not just making-do with this kind of option but really and truly loving it. With regards to our caravan concept, I went from apprehensive to excited – what a gift! (they do say it’s all in the mind…). The other doco that landed on our doorstep was ‘Green Gold‘ by John D. Liu – we discovered permaculture and were blown away! We thought “if anything can save this planet, it’s permaculture!”. For those unfamiliar with permaculture, it is a way of growing abundance with the resources we already have – simply through more consideration and design. To give some perspective, this doco shows how whole deserts are rehabilitated just by changing the way they are managed (remove overgrazing cattle, terrace and add trees – give it 3 to 5 years and it goes from brown to green – seriously, the pictures are amazing). If that doesn’t excite you, how about this – they are growing a vegie garden in the middle of the Jordanian desert – within three years it will be self-sufficient, won’t even need irrigation – IN THE DESERT! Phew, talk about a solution contender for feeding the world -we were certainly impressed. Truly – check it out (link above). So with permaculture and the tiny-house culture fresh in our minds, we felt empowered in our decision – might not be such a crazy solution after all (you can hold the sniggers, thank you!). I think that’s when we started telling people about it. You can just imagine some of the reactions – no really, go ahead and imagine – you’re probably not far off. There were some ‘interesting’ and expected responses. So it was refreshing to receive encouragement from some quarters – particularly our new friends Toff & Cara who just ‘got it’ from the start. Maybe it was the reciprocated encouragement for their crazy idea to start a bakery without any experience in business or baking! (another disclaimer – i’m allowed to call their idea crazy because we were enthusiastic for them and backed it – so much so that Michael left his job to go work for them! 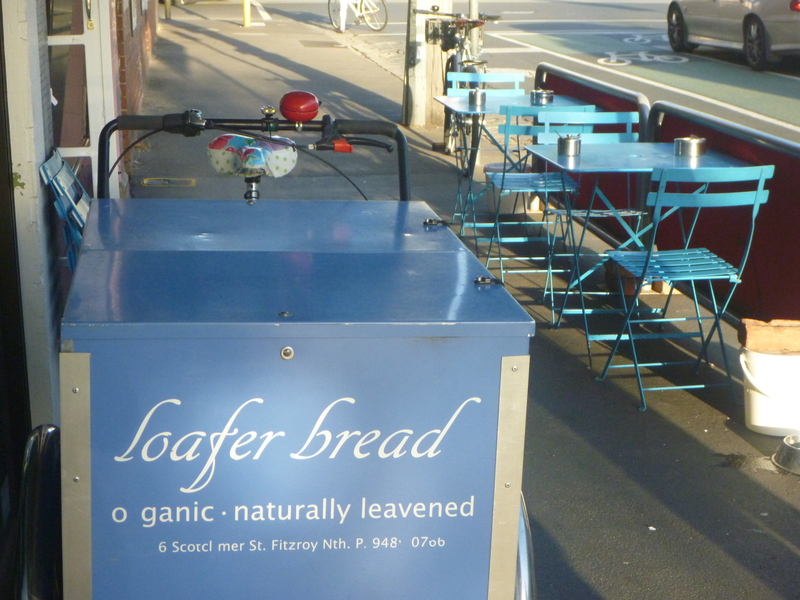 And because it happens to be the hugely popular ‘Home Grain Bakery” at Aldinga & new sibling at McLaren Flat – go you good thing!). Once you open up to an idea, the possibilities and opportunities just seem to flow in – seriously its weird! But great. So after chatting about our idea with Toff and Cara, they offered up their shed to live in if we wanted. Finding another place to live wasn’t something we had really given a whole lot of thought to but it turned out to be a golden opportunity, not only because we got to sell our house and stop paying a mortgage asap, but more importantly because it gave us our first experience in sharing, community and living with others. Something we are incredibly grateful for. So that, my friends, is how we came to be in a shed. I do wish to recount some of the adventures and practicalities of living small so far. However, as the size of this segment appears to have mutated somewhere along the way, I will do so in a follow-up part 2. So stay tuned! 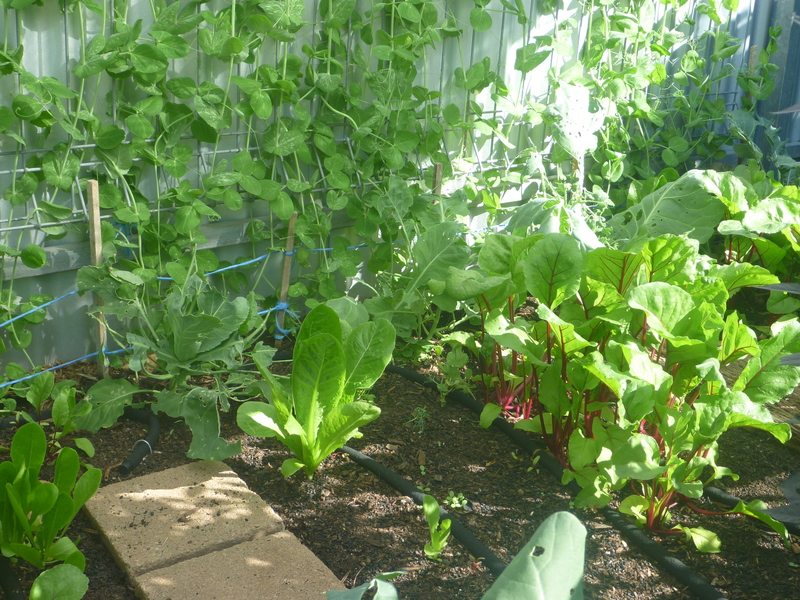 As part of the Wattlebee project, we decided to experiment with growing food in the backyard – back in 2014. This is an account of that adventure. 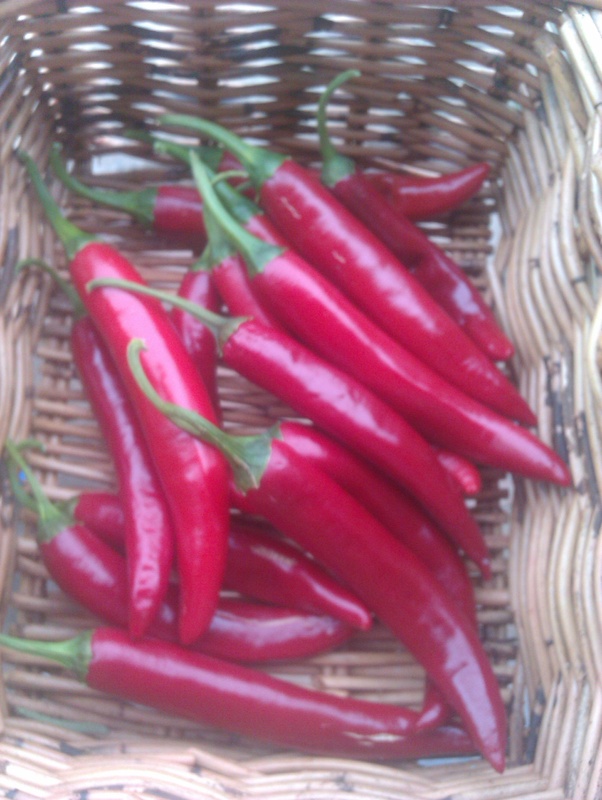 So we decided to grow food not just for ourselves, but for market too. Why? 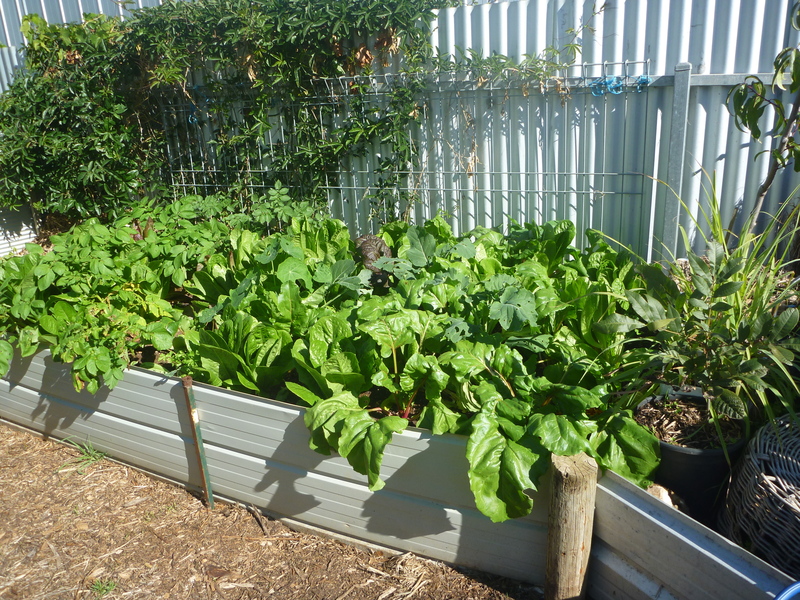 you ask – well the foray into growing food for the family wasn’t yielding as bountiful a result as I would have hoped. So I thought why not try something different – approach it like an entrepreneurial market gardener (albeit a pretty casual, low key entrepreneur). I figured if it worked, then great, we might have a nice sized crop to sell and if not, at worst, there would probably be something at least for us to eat. Besides, it would be good practice! 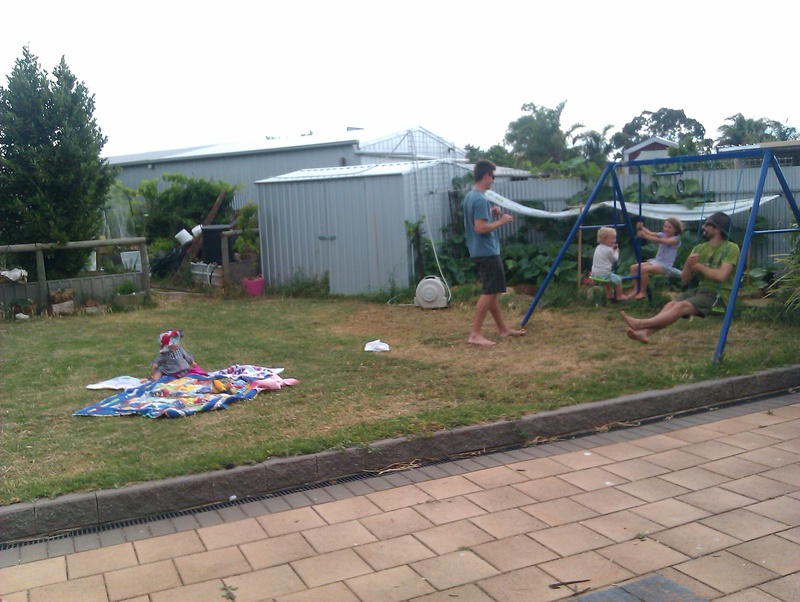 So, picture a fairly typical suburban block and backyard with lawn, paved area and the kids’ trampoline and swingset. Add in the garage (currently our home – yes,that’s right – more on that in another post), garden shed, existing shrubbery and you start to get the picture there might not be much room left for growing. In fact there wasn’t really. Especially compared to the average market garden – or even one of the small urban farms popping up now that convert unused yards and blocks to growing plots- like SPIN farms in the US (Small Plot INtensive – google it) or Wagtail Urban Farm right here in Adelaide (check them out – they’re doing some cool stuff). Nevertheless, this exercise was as much about learning to think and plan like a market gardener as it was about growing the produce. So I turned the idea over in my head for a while and like so many things that manifest themselves when you need them, the name of a local kept coming up in conversation. Soon enough we met by chance and eventually discovered that she, the wonderful Jay Kimber, had just launched a local fruit and veg co-op called Produce Boxes (as well as running another venture in reusable cloth pads for ladies – LilliPads – also worth visiting). Jay was offering conventional, spray-free and organic produce with a view to encouraging and supporting more local farmers and backyard growers. It was the perfect opportunity to give this kind of thing a go on a small scale with next to no risk – if I grew good gear, I had a place to sell it and if I didn’t then Jay kept her regular order in place. Simple. And let’s not forget to mention the awesome opportunity which is being part of a great community-building project! So with the blessing of our friends, who own and also live on the property, I commandeered what I could and came up with 25m2 to grow in. 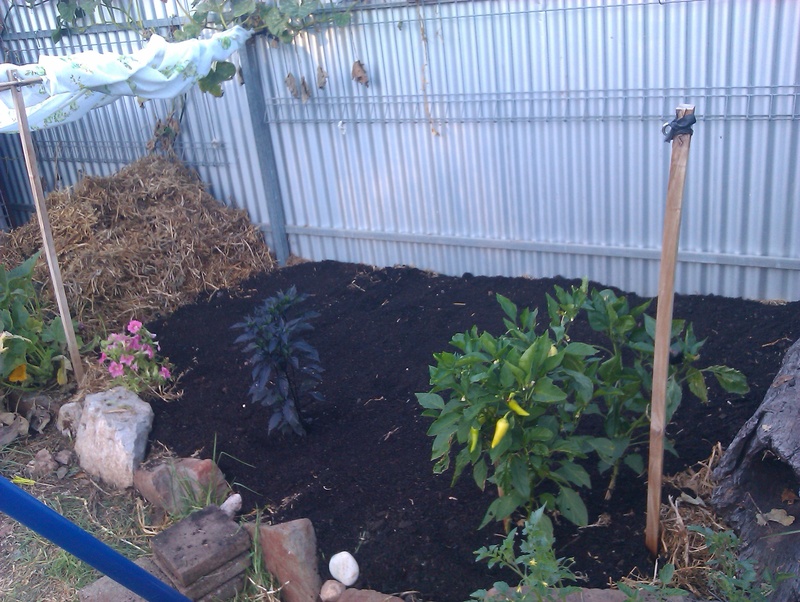 After loosening up the soil and adding some black gold (aka compost) from Marty (the Original Green Co in Willunga, SA – 0417 822 506), figuring out the potential market was next on the list. 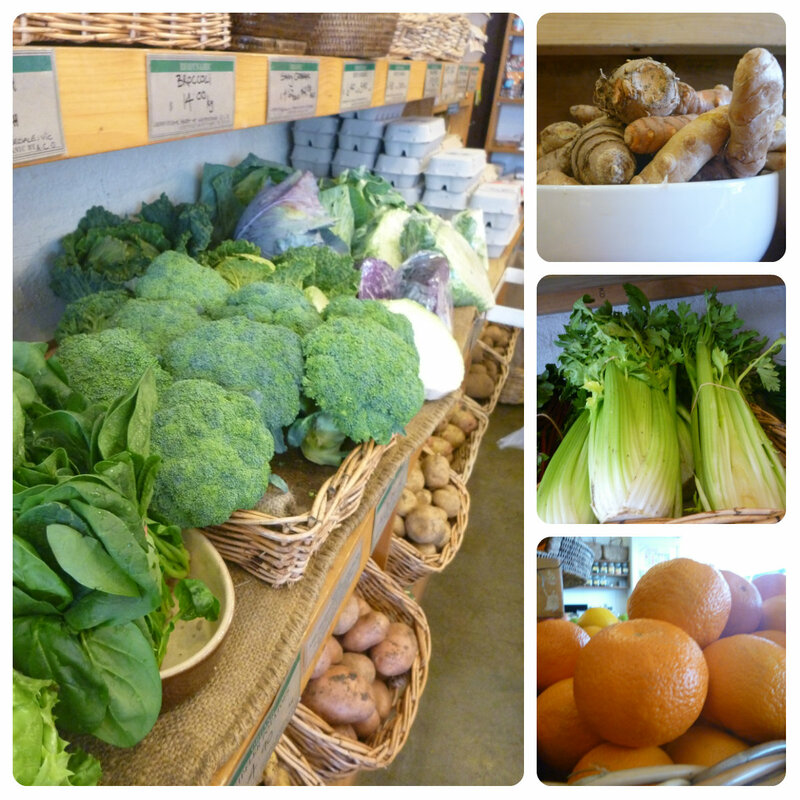 I chatted with Jay about what kind of produce she was looking for, what sort of numbers she might buy and how much for. I pondered what I might like to grow – factoring in ease, season, local suitability and turnover time. After narrowing it down to beetroot and lettuce (plus maybe a little something else here and there), I measured and mapped out the beds and figured out, according to growing time and spacing, how much I could potentially grow. Next I plotted it out on a spreadsheet – how many seeds to sow, in which beds and when (as well as how many seedlings to raise for the next round of planting). Just going through the process of making a plan itself was worth doing. It was a great plan. Pity it didn’t all pan out! No, that’s not entirely true, some of it did and some of it unravelled a little – mostly due to my inexperience and inherently flawed human traits like forgetfulness or distraction. Things like figuring out what kind of watering system to use plus when and how much, not thinning seedlings effectively and not accounting for different soil or sunlight in different beds resulted in some stunted growth and longer than expected growing times. Plus, figuring out how best to use your space takes practice and time – I didn’t end up using all of the 25m2 available and, in hindsight, what did get used could have been done more efficiently. I don’t consider it a failure though – far from it really. Despite the lack of marketable produce, there were so many good things that came from trying this – like learning the importance of good soil first hand. The critical nature of soil is referenced all the time – and rightly so because it is absolutely true. But there’s nothing like really seeing and feeling it for yourself. 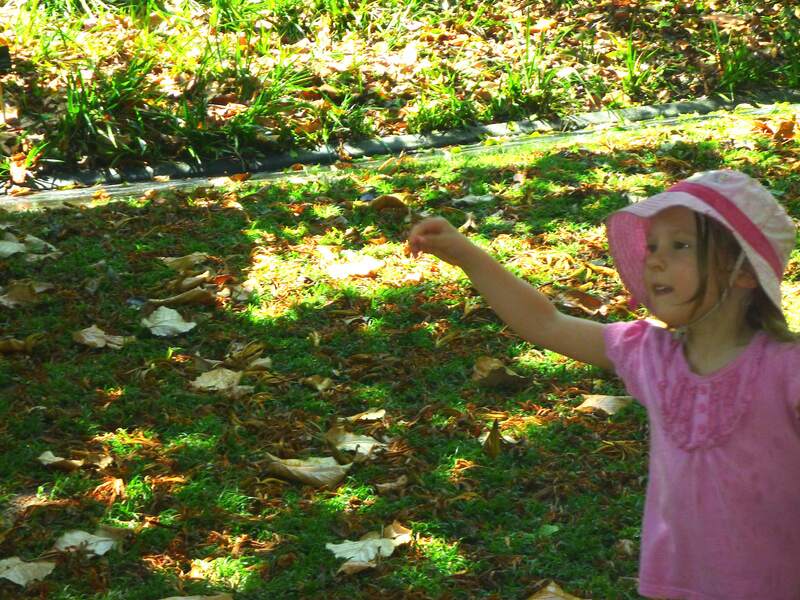 That is why I love learning in the garden – it’s different, almost like we absorb it through our skin. Some of those lessons really stay with you – sometimes without noticing. Like the first time you see random seedlings come up in a patch and realise you know what they are – despite the minuscule 3cm height and standard colour of green, something inside recognises the deceptively simple shape and screams “I know what that is! I know what that is!”. I love that. But you see I digress. Moving on, this experiment also upped my seed raising skills. In the few recent years that I have turned my hand to gardening, I’ve been a bit hit and miss at this aspect of it, particularly with plants like celery (just you try and control those weeny, finicky seeds). But, this season I finally managed to grow healthy seedlings, and more consistently too – even that nightmare celery (yeah – high five!). I put it down to consistent practice and attention – if we continue to do something over and over, naturally we improve. 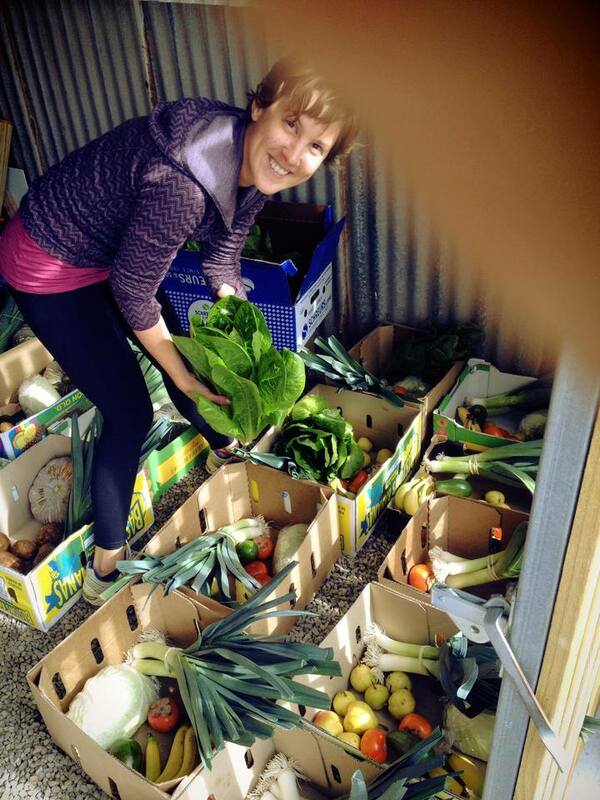 Another fantastic positive was actually getting to harvest and sell some produce. Aside from it being fun and exciting to share your efforts, just wrapping my head around that whole activity was extremely useful. Thinking about logistics is something I do better if I can actually go through the process. 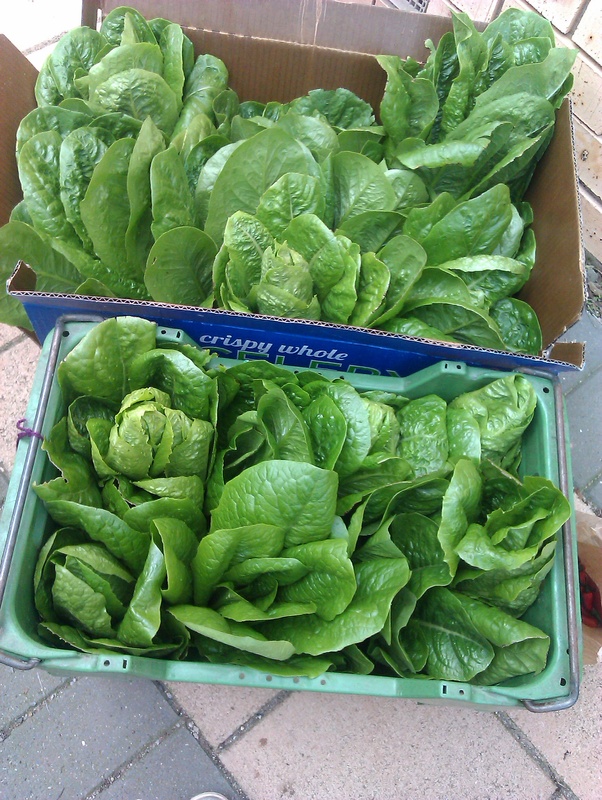 In the end, we managed three (charmingly small) harvests for Produce Boxes including celery, lettuce, beets and chillies. Importantly though, just being involved was so encouraging because people really seem to be getting excited about good healthy food – it’s awesome! The sooner we connect with our food, the sooner we connect with everything else. So a big thanks to Jay and all her customers for the opportunity and response to our little contribution! … to this, packed up and ready to go. And, as anticipated, we did end up with more food to eat ourselves. 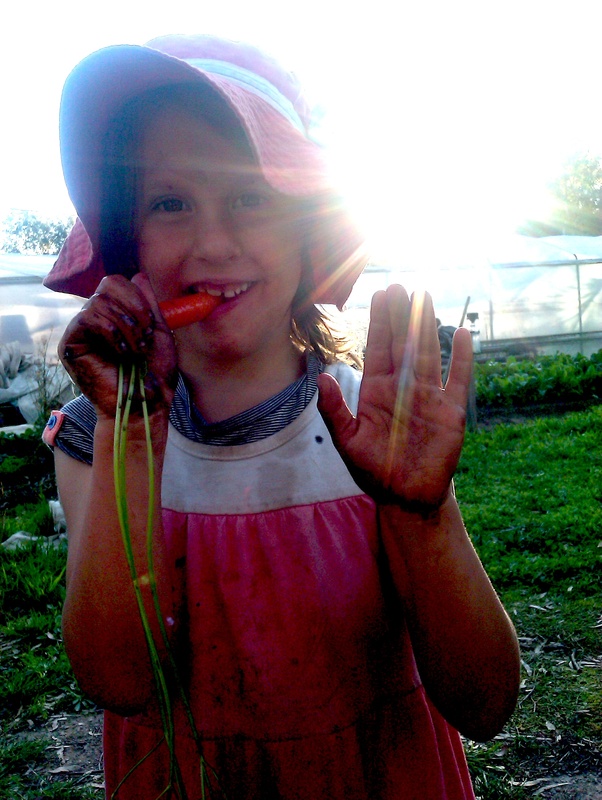 We have been able to eat salad and veggies from the garden most days over the past few months. It may not have been enough to feed us completely but it was a feat we haven’t achieved before. Onwards and upwards! 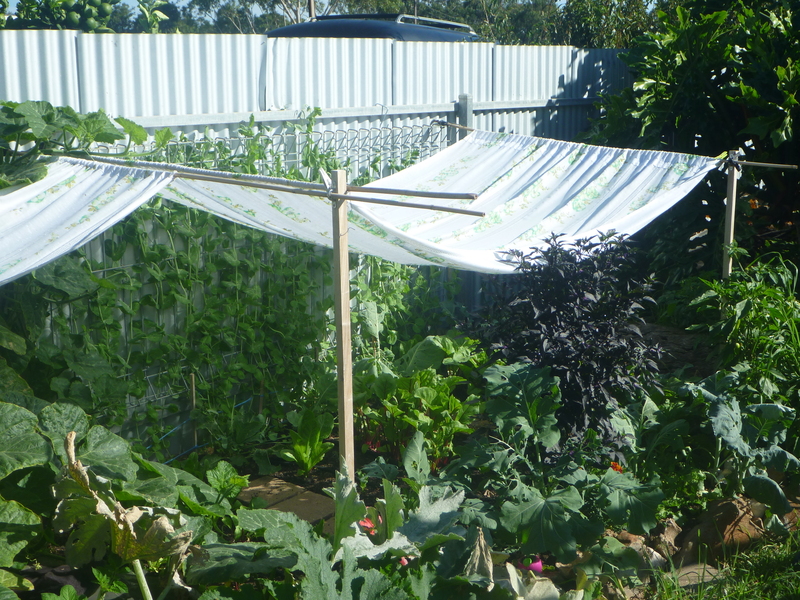 I think as a result, I would apply this kind of method to our next home garden – i.e. using a planting plan, staggered seed raising, successional planting and building in lots of contingencies (i.e. triple everything!). I suspect a lot of home gardeners are probably on the ball with this kind of thing already but I have to say I certainly wasn’t! And thinking about it overall, the available space could have be used more efficiently to produce even more food than we did in this instance. So we are packing up the garden now, in anticipation for winter and our need to focus on upcoming travel plans (I’ll chat about this in another place on the website soon). All in all, I’m pretty pleased with the outcome and lessons encountered! Mostly though, I hope it makes you think about the possibilities – it doesn’t take as much space, or know-how, as you might think to grow yourself some food. Just need to get in there and try! If you pay attention, nature will show you the way. And you might even grow enough to sell or swap locally – sweet deal I say! Wishing you warmth through winter! Just because I can’t say enough good things about these guys – here is another shout out to the School of Life in Melbourne – a retrospective shout out from our visit there in 2014. They are a super-cool hub for inspiration and learning around the important things in life. Topics cover all manner of things such as love, work, better conversation, the point of art and so many other intricacies and essentials. Running classes, workshops and talks as well as hosting a conversation cafe -plus an excellent range of books and other inspirational items – what more reason do you need to check them out? Anybody feeling like they want to learn a real life lesson or understand the paradox which is human existence, should check out their site here, or their parent London site here. Also see the hilariousness and profoundness that was our original visit here, in this post. 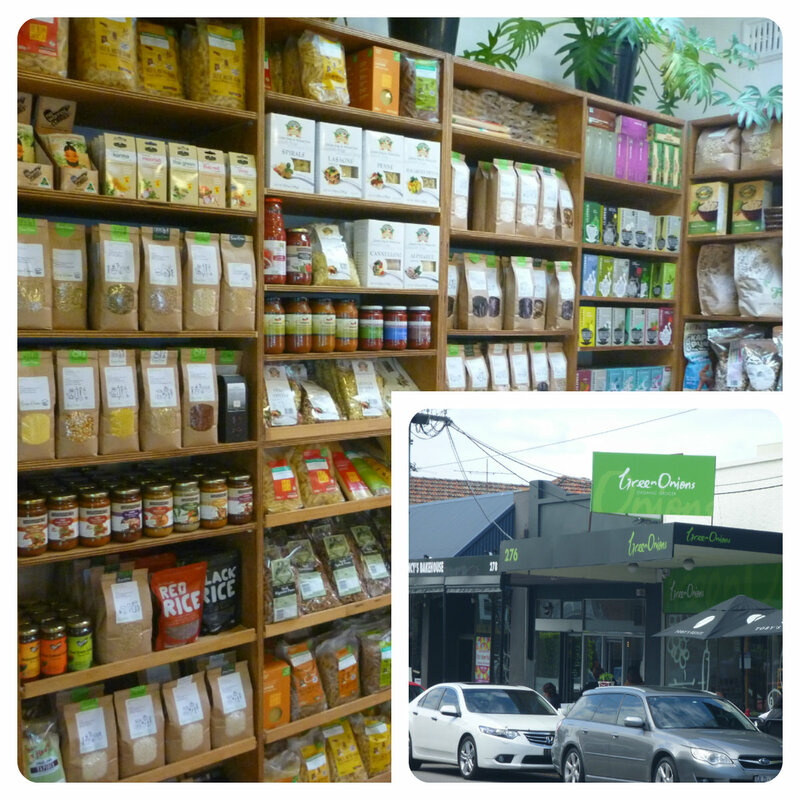 Today Emma and I went for a walk in Malvern East to the local shops and were lucky enough to find a lovely organic shop. We entered and were greeted with lots of scrumptious fruit and veg. I turned to ask if I could take some photos and met Chris, the owner -he blessed us with some of his time. Chris has worked in the industry for nearly 20 years and still gets just as excited when summer comes and he can bite into a juicy peach. 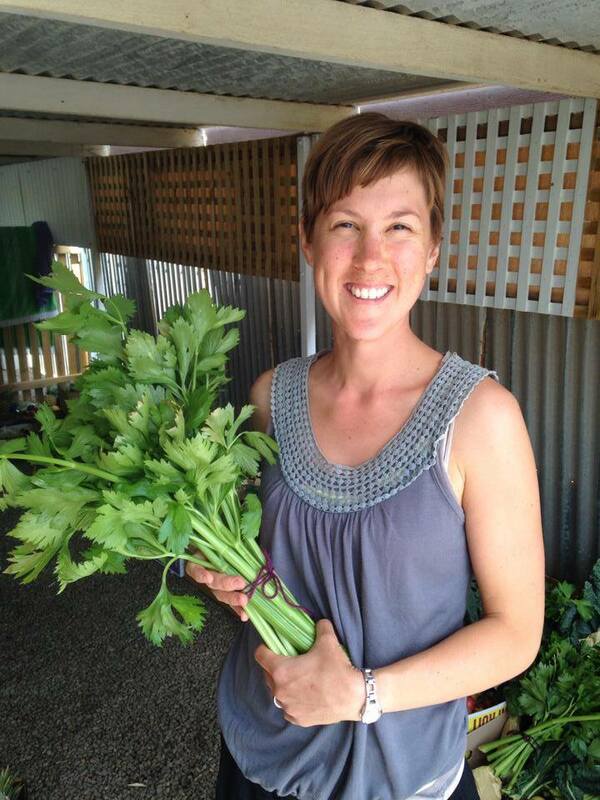 Green Onions has been open for 4 years and has grown steadily simply through great produce, service and word of mouth. They try to source as much produce as possible locally. This has also required some education about food seasonality. A strong believer in the organic certification process, Chris shows his support by stocking 95% certified organic products. It doesn’t stop there though – first preference goes to biodynamic produce because of the holistic farming techniques used. Green Onions is a great place to source your food if you live locally, or if you’re passing through Chris will likely tell you about an organic shop near you. You may even make some new friends there. Thank you to Chris & the Green Onions staff – it was a pleasure. Find all the details here at their website. 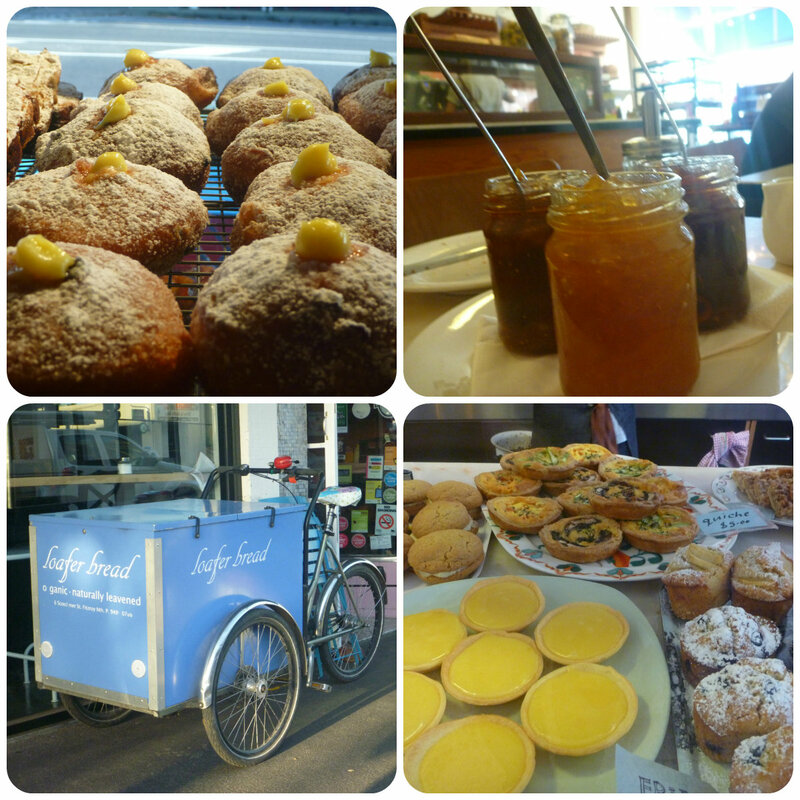 Super funky little bakery just outside Melbourne. 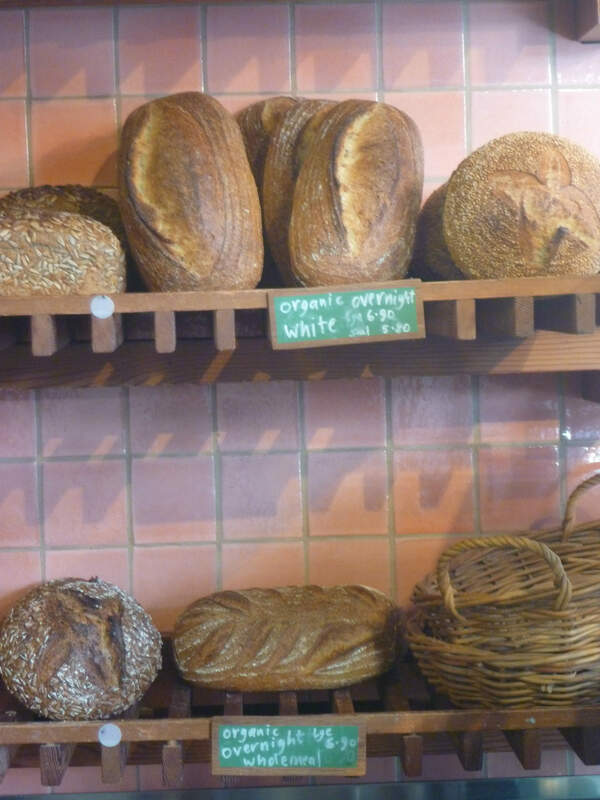 Even better than the vibe is their outlook on producing baked goods from scratch, with responsibly farmed and local goods, like bio-dynamic milk and stoneground flours – see more here. Everything is made on-site – including their unusual (for a bakery) breakfast and lunch menu including delightful lighter options (we sampled the granola and bircher muesli – yummo!). Andrea shared with us some lovely stories about their customers, clearly they are a pillar of the business’ spirit. 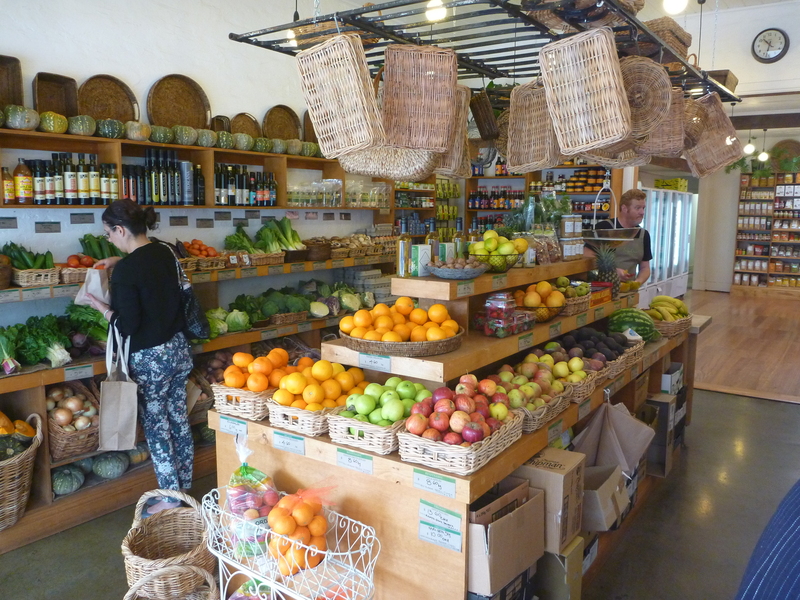 We highly recommend a visit here – support those doing good things for you and your local sustainable farmers!